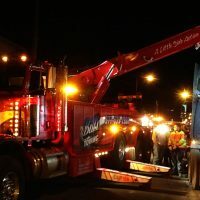 Ramsey Winch Company, a leading manufacturer of hydraulic and electric, worm gear and planetary gear winches and planetary hoists— announced the launch of their new and improved Hercules 50K Winch. This SAE0J706 compliant 50K winch sports a new design, superior cable management and an amazing 200lb weight reduction over the competition. Targeted for heavy wrecker and industrial applications that demand upwards of 50,000 lbs., the Hercules Winch’s innovative design reduces overall weight, improves cable speed, and includes superior cable management via roller tensioners, compression springs and dual drag brakes. 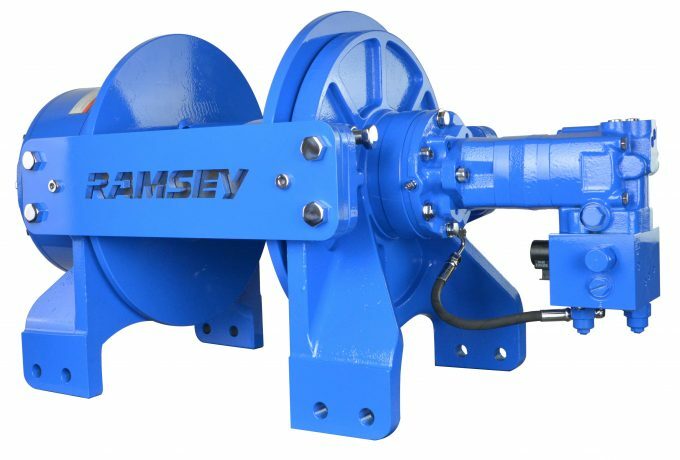 Ramsey Winch is a leading manufacturer of Hydraulic and Electric, Worm Gear and Planetary Gear Winches and Planetary Hoists. Using advanced manufacturing processes, premium materials, highly trained engineers and production personnel; Ramsey Winch is today’s choice for quality, dependability, and endurance. And it’s been that way since 1944, when brothers Claude and Rayburn Ramsey founded Ramsey Brothers Tool & Die in Tulsa, Oklahoma, to manufacture parts, tools, and dies for Douglas Aircraft Company.